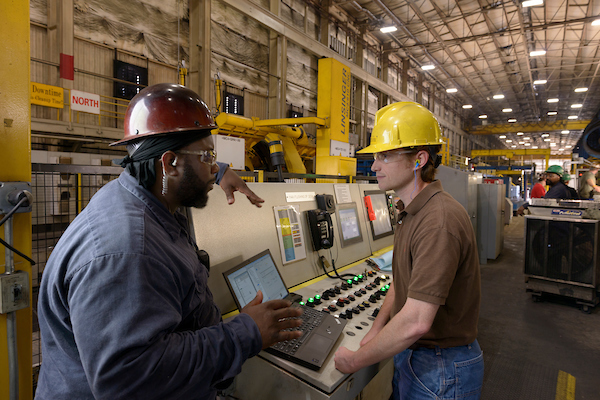 From the shop floor to the corner office, find opportunity at AMERICAN. The company’s seven divisions are Engineering, Finance (includes Information Services), Human Resources, Manufacturing, Sales, Supply Chain Management and Technical. Once you join the team, the door of opportunity remains open through internal job bidding, and there are special programs such as Eagan College and tuition reimbursement to help you prepare for the next step. These are the areas of opportunity we typically have, depending on active job vacancies. And there are additional opportunities in the Manufacturing Division, including craft apprenticeships and supervisory positions. Check us out. AMERICAN just might be your golden opportunity.